Pre-packaged with DOSBox. 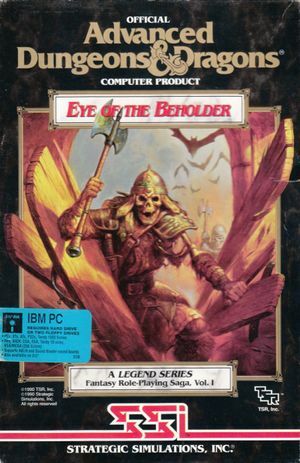 Bundled with Eye of the Beholder II: The Legend of Darkmoon and Eye of the Beholder III: Assault on Myth Drannor. The retail version prompts for copy protection answers from the manual. The GOG.com version has the copy protection cracked (type anything, then press ↵ Enter). EOBDATA.SAV contains both settings and save data. This page was last edited on 22 April 2019, at 13:06.